Dear Sirs US$47,000,000 loan facility to……………We refer to the facility agreement dated…………in connection with the above facility (the “Facility Agreement”). Words and expressions defined therein shall, unless the context otherwise requires or unless otherwise defined herein, have the same meanings when used in this letter. Following our discussions and subject to documentation satisfactory in all respects to ourselves, we confirm that the Bank is prepared to agree to the following arrangements in connection with the Facility Agreement and the Security Documents: 1 to waive the application of clause 5.3 of the Corporate Guarantee for a period of commencing on the date of this letter and ending on……..(the “Waiver Period”); 2 to waive the application of clause 8.3.1 of the Facility Agreement (in relation to financial covenants) for the Waiver Period; 3 to waive the application of clause 7.1.10 of the Facility Agreement in respect solely of the representation and warranty concerning the ultimate beneficial ownership of no less than 25% of the total issued voting share capital of the Corporate Guarantor, and, consequently, to waive the application of paragraph (b) of clause 10.1.28 of the Facility Agreement, in either case, until the final Repayment Date (the “Maturity Date”); 4 to waive the application of clause 4.1.10 of the Corporate Guarantee in respect solely of the representation and warranty concerning the ultimate beneficial ownership of no less than 25% of the total issued voting share capital of the Corporate Guarantor until the Maturity Date; and 5 to increase the Margin to three per cent (3.0%) per annum at all times during the period commencing on the date of this letter until the Bank notifies the Borrower that it has determined in its absolute and unfettered discretion that the international financial and credit markets have improved. This letter and any non contractual obligations in connection with this letter shall be governed by, and construed in accordance with, English law. 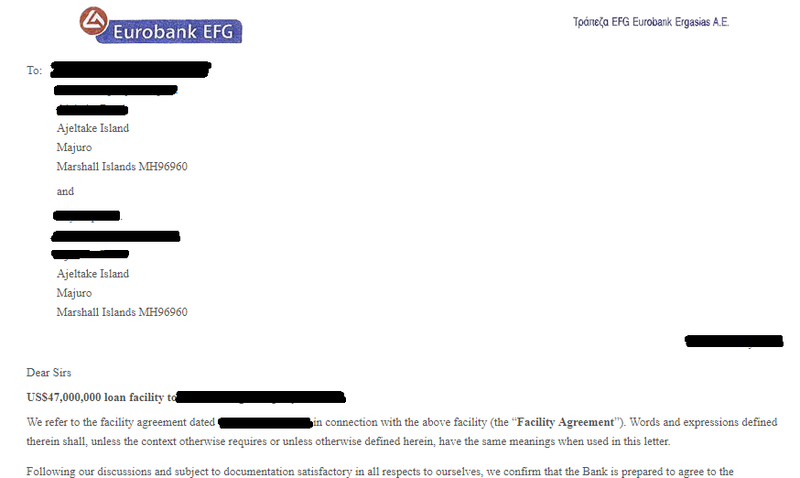 The terms of this letter shall not take effect unless and until the Bank is provided with full documentation (including without limitation, a supplemental agreement to the Facility Agreement and any security documents required thereunder) on terms and conditions acceptable to the Bank in all respect and in form acceptable to the Bank in its sole discretion.